We value our supporters wholeheartedly, and where possible try to engage them within our decision making process in developing the museum. If you are willing and able to donate, why not become a registered supporter? 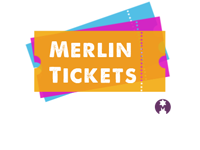 Gift Aid Admissions - In purchasing an entry ticket as advertised above you are making a donation of at least 10% of your admission fee today to YOUR COMPANY (a registered society with charitable status. No 0000000). YOUR COMPANY is a wholly owned subsidiary of the COMPANY – (registered Charity No. 0000000). By generously choosing to pay the higher price, your entire ticket price can be treated as a donation and YOUR COMPANY will be able to reclaim 25% from HM Revenue and Customs. You are confirming that you will pay sufficient UK income/capital gains tax to cover this and all other gift-aided donations made in this tax year. Copyright © Merlinsoft 2017 all rights reserved.